Own or lease a 2014 or newer Toyota Tundra, Sequoia, Tacoma, FJ Cruiser or 4Runner. Vehicle must be registered in your name individually or jointly. Please note vehicle eligibility now requires a model year of 2014 or newer. In 2019, vehicle eligibility will roll to model year 2015 and newer. Complete the official registration form and return via email, fax or mail (or complete online form). In addition, submit a copy of your current truck registration and / or title with your registration form via email, fax or mail. Registration must be received and confirmed by the Bonus Bucks Office prior to fishing in your first contingency paying event. You will receive an email response once your registration has been approved. You do not have to re-register for the Program annually, unless your information has changed. Participate in a contingency paying tournament, and post the highest placing finish of those who have registered for the program. Select Bassmaster, FLW and Team Tournament Trail events will pay the top two highest placing finishes. Highest finishes must fall within the top 50% of the field, with a minimum field size of no less than 30 boats. A list of supported events and payouts are posted on this website. Submit the Official Contingency Claim Form, along with a copy of your truck title and / or current truck registration, within 30-days of your finish. Upon verification and approval, your contingency payment will be sent via U.S. mail. Winners should allow a minimum of 8 weeks for approval, processing and distribution. LOYALTY NOW HAS DOUBLE THE REWARDS. Toyota is rewarding Bonus Bucks participants’ loyalty even more with a New Vehicle Payout. 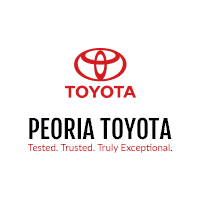 For any new Toyota vehicle purchased, participants are eligible for a $500 payout.